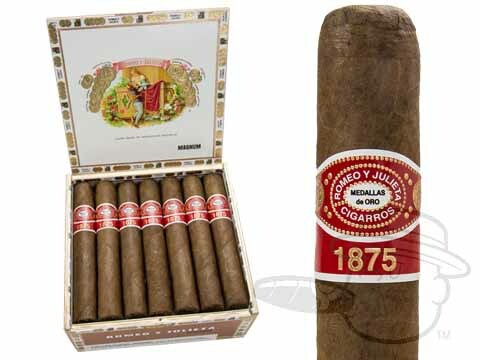 The Romeo Y Julieta 1875 Magnum is tagged with free shipping. If you order this product, your entire order will receive FREE BCP Ship Saver shipping! Great cigar. Draw is sometimes harder than others. Always a great cigar. Good construction and flavor. Every once in a while I get one with a hard draw, sometimes "poking" it doesn't help. Very enjoyable cigar. Like the size and strength. Good cigar. Great flavor and appearance. It's agreat cigar. I have no idea of what "complexity" means. Not a light-weight, but rather a cigar for those looking for something a bit heavier. Doesn't overwhelm you, but you know you're smoking a Romeo Julieta. Solid smoke. Good burn, nice flavor. This has become my new go to cigar. Burns evenly and tastes great. My favorite cigar. Well constructed, flavorable, easy draw, and good looking! The ring guage was huge, but the cigar lacked any flavor! The wrapper was very thin & delicate & split easily. 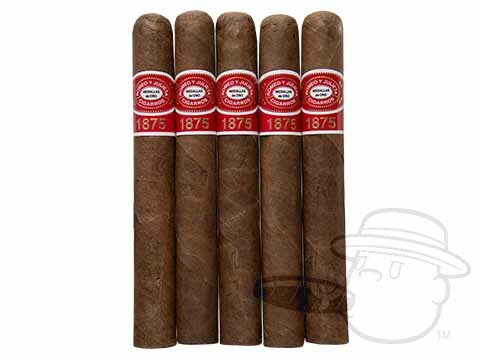 Romeo Y Julieta 1875 Magnum is rated 4.4 out of 5 based on 24 customer ratings.